With the exception of days when we have severe weather conditions winter is one of my favorite times of the year for bird-watching . 1: Trees with bare branches and fields of gold: That makes birds much easier to find. 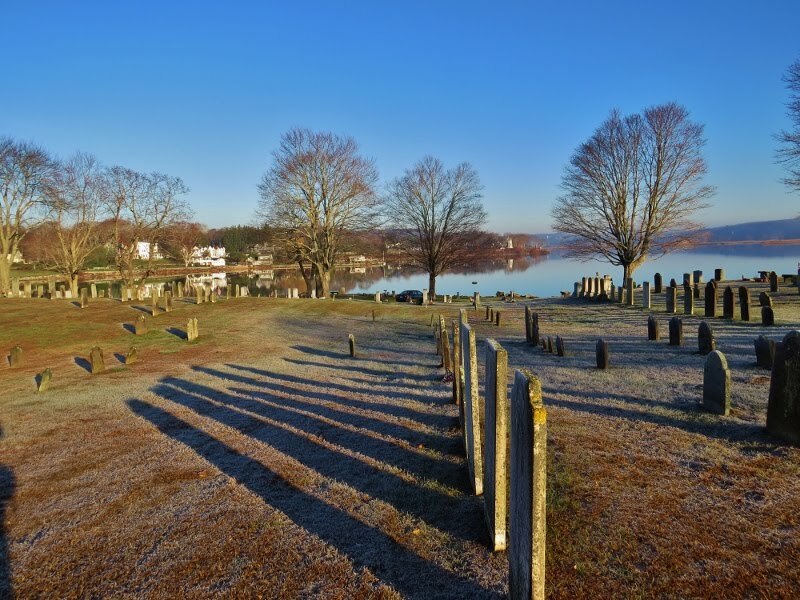 2: The silence of freshly fallen snow: There is something very peaceful about taking an early morning when the ground is coated with freshly fallen snow.The snow provides natural soundproofing which makes everything seem quiet and peaceful. 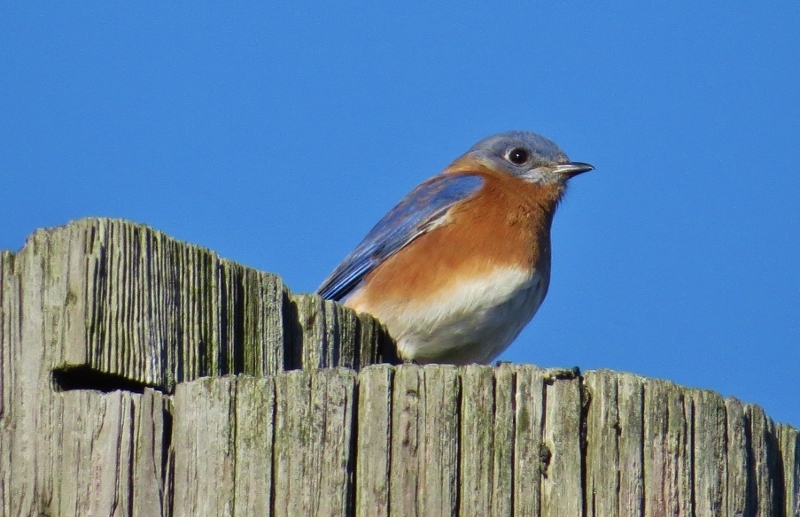 3: Appreciation of more common birds: Once spring arrives everyone is chasing tropical migrant birds. You tend to forget that we have some beautiful birds year round. 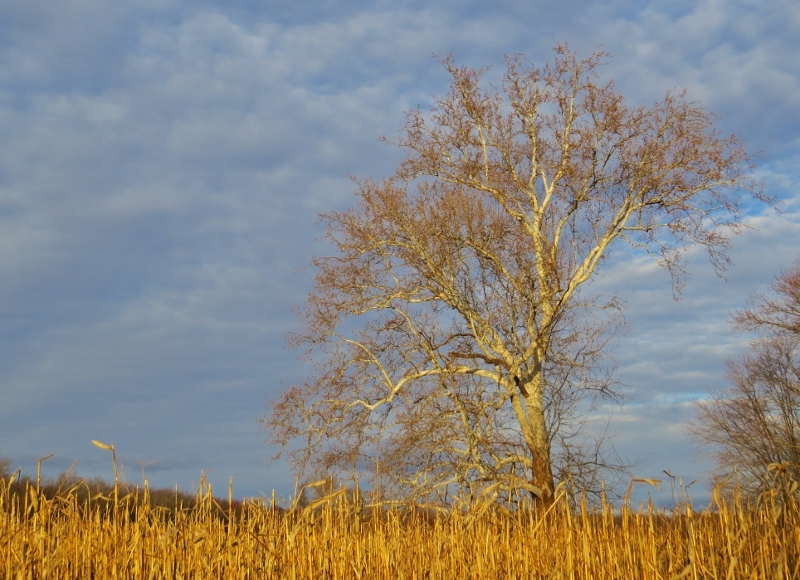 4) The air seems cleaner in winter: This makes everything seem stand out vividly, including birds. 5) Interesting birds sometimes show up in winter: For example, crossbills or Pine Grosbeaks as seen in the photo above. 6) There's always the shoreline: Inland birding can be hit or miss during the winter in Connecticut but there are always plenty of birds near the shoreline. Every January birders doing a "Big January" are able to find over 100 species (sometimes nearing 150) in Connecticut. A good portion of those birds are found along Connecticut's shoreline. So there may be days when it's too snowy or too cold but I'm looking forward to plenty of great mornings of birding in Connecticut this winter! I took a ride down to south cove in Old Saybrook hoping to get a glimpse of the 3 American White Pelicans which had been reported there. 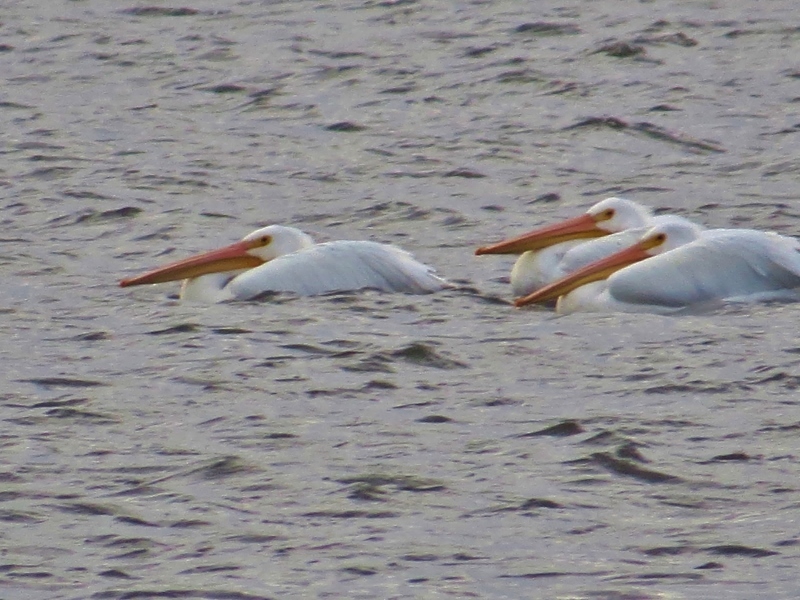 The lighting wasn't good but I was happy to get a photo capturing my first view ever of pelicans. With temperatures reaching 70 degrees and white pelicans instead of a white Christmas you would think we were in Florida instead of Connecticut! Every Bird Counts On A Christmas Count! It's that time of the year when the Christmas Bird Counts are in full swing. 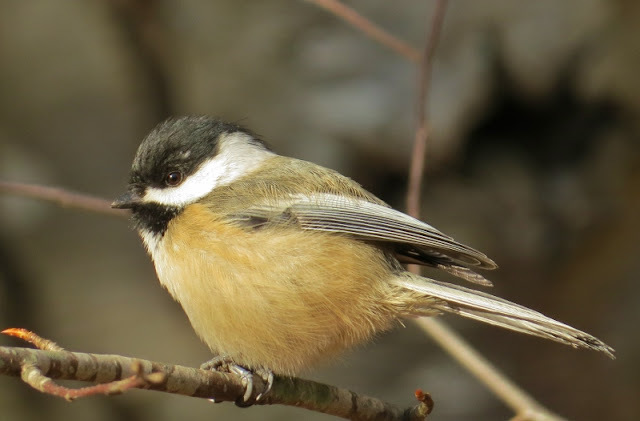 What I love about these counts is that many birds that we might take for granted like the boisterous Black-capped Chickadee become an important part of our Christmas count lists. 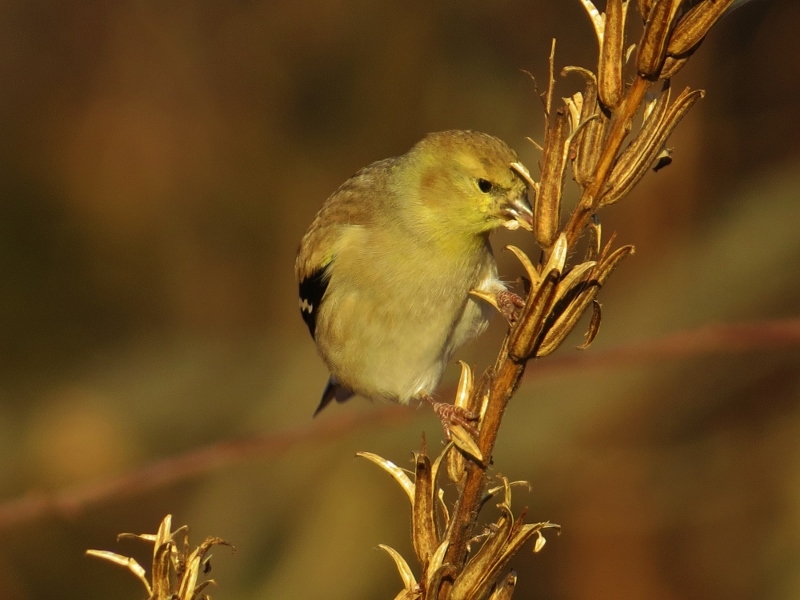 American Goldfinches may not be as brightly colored in the winter but I still like seeing them picking seeds from the weeds. 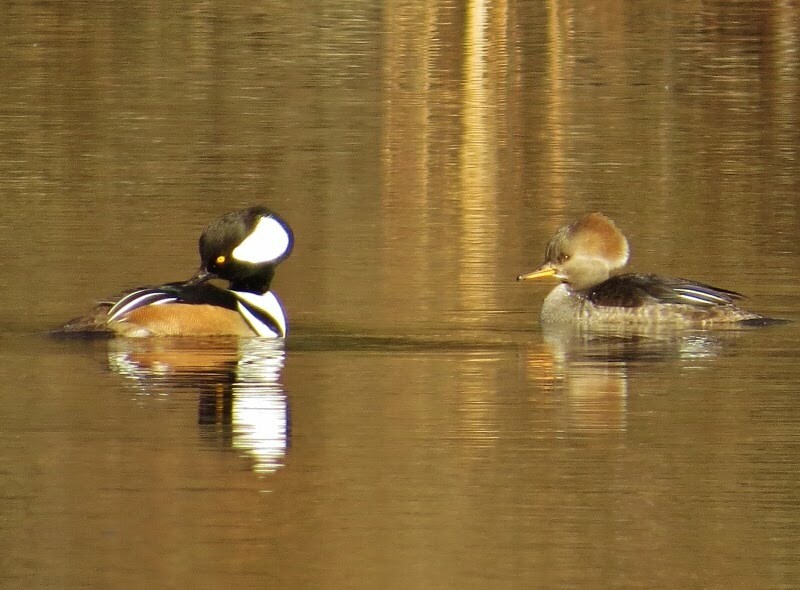 Hooded Mergansers are a fairly common sight during the winter months in Connecticut but they are awesome! Christmas bird counts are a great tradition. If you've never participated in one and would like to give it a try then give your local Audubon chapter a call. They are often looking for birders to help cover their territory and it's a fun way to spend a Saturday or Sunday. 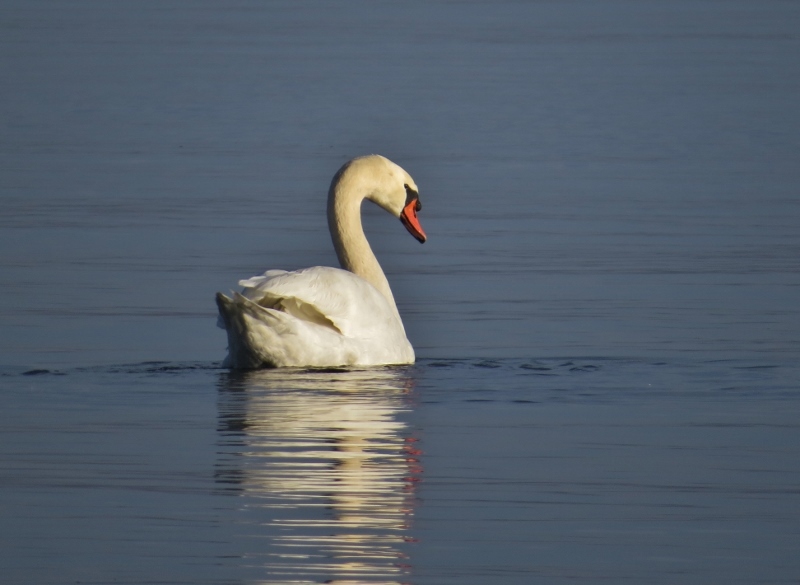 I was at Haddam Meadows state park a couple of weeks ago and noticed a large number of Mute Swans on the Connecticut River. One of the general rules of birding is that whenever you see a large flock of common birds it's a good idea to check them carefully to see if a rare bird might be mixed in with the flock. I half followed that advice as I checked through the flock of Mute Swans but did so halfheartedly. I even thought I caught a glimpse of one that had black bill but then the swans moved further down the river. It would not have taken much effort for me to walk further down the trail but instead I opted for getting breakfast and calling it a day. The following weekend I stopped by the same park and ran not a couple of birders. 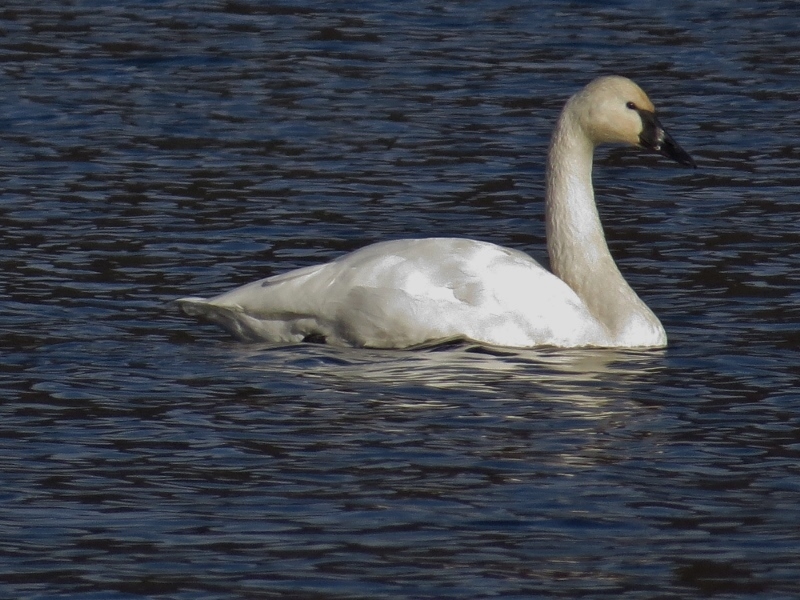 I asked them if they were seeing anything interesting and they told me about the Tundra Swan (rarer bird) that had been reported here a few days earlier. Sure enough, it was there just as I'm sure it was there the weekend before right under my nose. Reminder to self # 1: Do make sure to check through through the flock thoroughly. Reminder to self # 2: Don't assume it's unlikely for a rare bird to be in the mix. Have some faith that a rare bird might really be there so you don't just go through the motions. Reminder to self # 3: Don't take a breakfast break until you find the bird you're looking for. 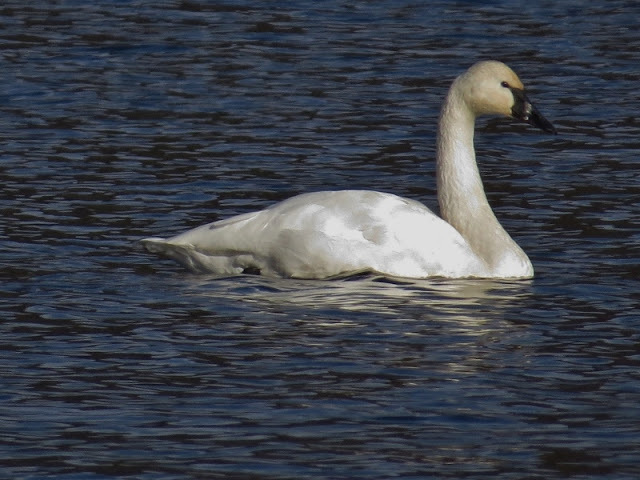 The day after I saw the Tundra Swan I did some Sunday morning birding on a patch of hunting land in Cromwell. 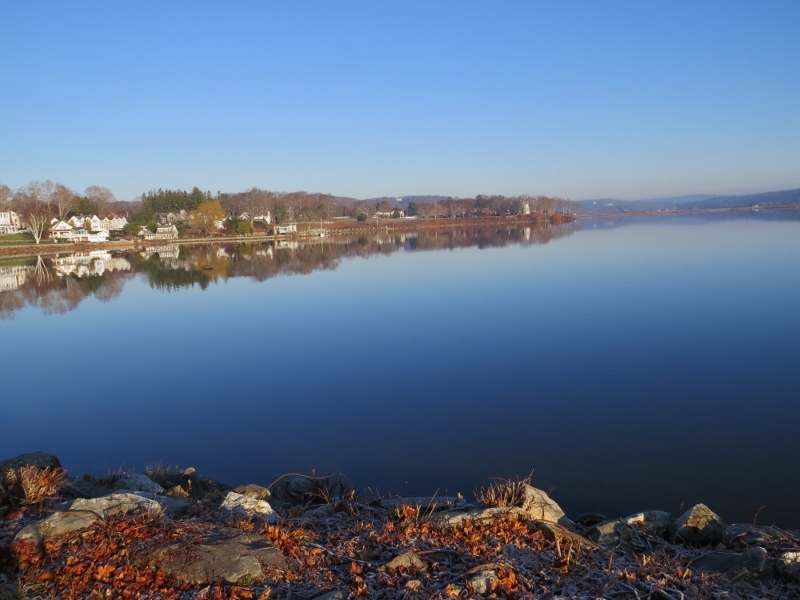 Before walking the trail I stopped at a small town park that overlooks the Connecticut River. There were some Common Mergansers and Canada Geese within close view but on the opposite side of the rive I saw 3 birds that I was unable to identify with my binoculars. Wouldn't you know I decided to leave my spotting scope at home. I ended up using my camera at full zoom to try to get an identification photo. I was eventually able to figure out that the mystery birds were White-winged Scoters which I was more excited about than the Tundra Swan. 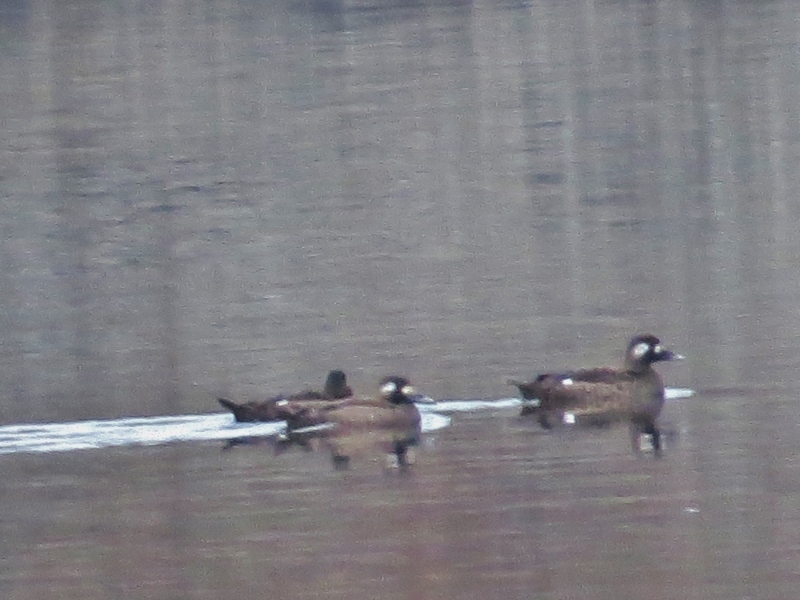 I underestimated the rarity of A Tundra Swan and overestimated the rarity of seeing a White-winged Scoter inland. Although, I do believe that the importance of a sighting is in the eye of the beholder. Reminder to self #4-Don't Forget Your Spotting Scope: Always bring your spotting scope just in case: The frustration of not having it when you need it is much worse than the little effort it takes to throw it in the trunk. 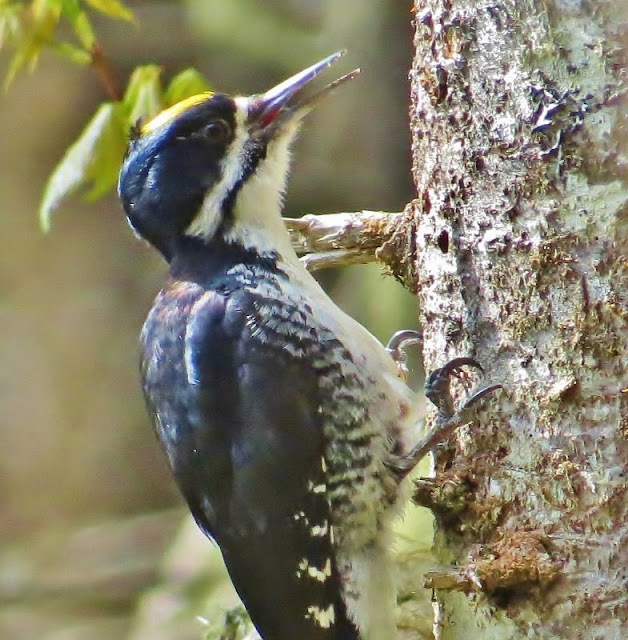 Reminder to self # 5-Do Use your camera for ID shots: If you're not sure of the identification of a mystery bird make sure to take a photo or video of it. Even a crappy photo might be helpful for identification purposes. Reminder to self # 6-Do Brush Up On Rare Birds: Familiarize yourself with rare bird possibilities in your area before you see one so that you don't become flustered when you have a chance encounter. I have no ambition to become an elite birder but that doesn't mean I want to repeatedly make the same mistakes. Hopefully I can eventually eliminate some of these bad habits. 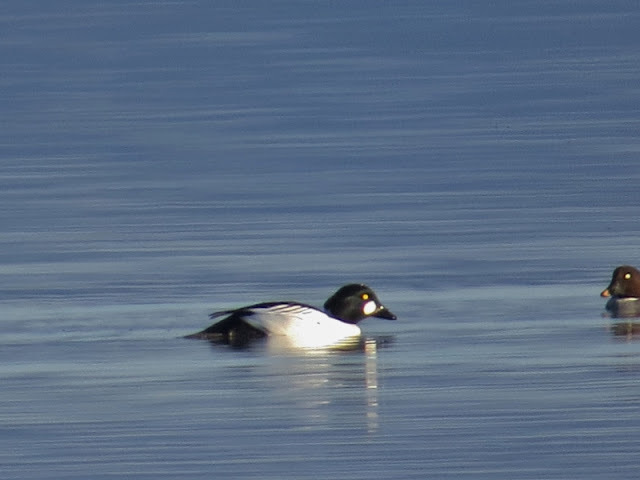 I took a ride down to Essex this weekend in hopes of finding Common Goldeneye on the Connecticut River. It was a sunny December morning and I could hear several White-breasted Nuthatches calling to each other from the hardwood trees which border the property. The vista alone from Riverview Cemetery made the trip worthwhile. Way out in the distance I could see small specks moving around and making ripples on the river. The thing about diving ducks is that they dive a lot which is fun to watch but frustrating when you're trying to snap a picture from a distance. I finally managed an id shot after uttering a few words to myself that shouldn't be spoken from behind a church. Thanks to the eBird alert feature and the eBird user who reported the goldeneye I was able to find what I was looking for. 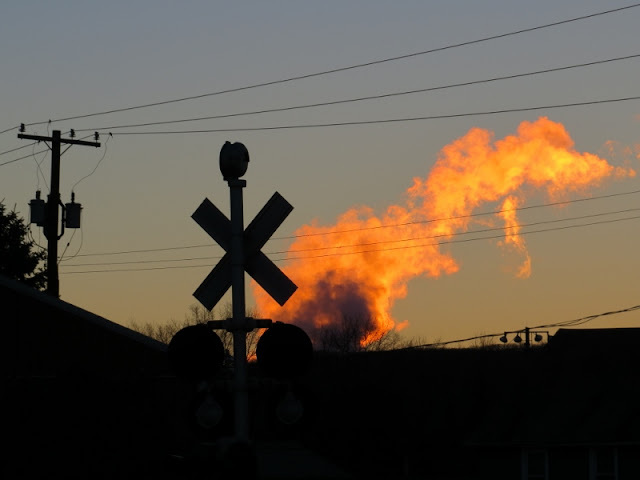 That makes species #167 seen in Middlesex County for the year. This doesn't mean anything but it was fun seeing all those birds along the way. The real joy this morning was sitting on a cemetery bench taking in the view and soaking in the sunshine. For me the enjoyable part of birding is all about the places you go, the birds you see, and the circumstances under which see them. Another aspect I have come to enjoy is being able to log in some of my sightings online and letting eBird organize them for me. One thing I didn't like about eBird is that I found their system of uploading photos to be inconvenient so I didn't bother. That can be a problem when you are reporting a rare bird like a Fork-tailed Flycatcher (1st photo) or Black-backed Woodpecker (2nd photo). When you report a rare bird like that you are expected provide details describing the bird using terms like tertial feathers, supercilliums, and blah blah blah. I always feel silly using these kinds of terms. I don't like pretending to be a forensic ornithologist. It's like being forced to wear a suit when you're a t-shirt and jeans guy or learning a couple of French phrases to use on vacation when you don't really speak the language. It just feels phony like I'm copying it right out of a field guide. 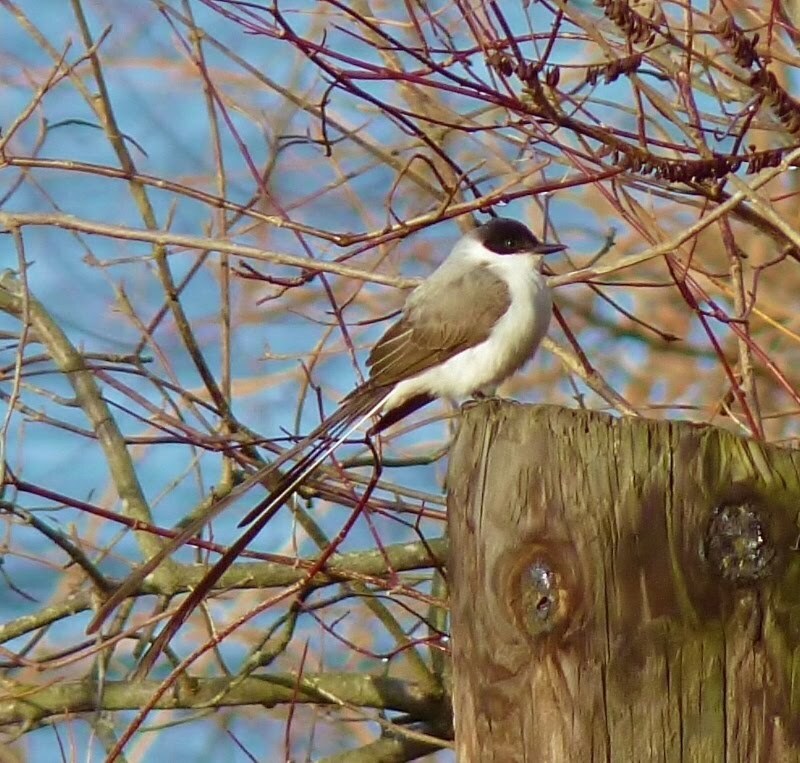 I am thankful that eBird has set up an easy drag-and drop photo system making things much easier for the user. As they say, a picture is worth a thousand words.